As we put Christmas behind us and look ahead to the year ahead, hopefully everyone had a wonderful Christmas celebration and took the time to explore the real meaning of Christmas. One that is not centered on a man in a red suit that travels around the world faster than the speed of light. Hopefully some of your time was spent in celebration of our Lord and Saviour Jesus Christ. While the birth, life, death and resurrection of Christ is a beautiful story, some of the story is misunderstood, and today I am going to try to dispel a couple of widely believed myths about the Three Kings that visited the Baby Jesus in the manger in Bethlehem. Now if you look closely at the above paragraph, you’ll notice that some of the words were crossed out, this is not an error on my part but an error in the popular tellings of the story of Jesus’ birth. We’ll first approach the number of Kings that arrived to visit Jesus. The kings arrived bearing gifts of gold, frankincense, and myrrh. (Matthew 2:11) So the popular belief is that there were three wise men (or kings) who came to visit Jesus. But nowhere in the Bible does it actually state how many were there, and in fact it is believed that the wise men who came from the east would have been a large group of wise men and would also have been attended to by many servants and other persons who accompanied them. 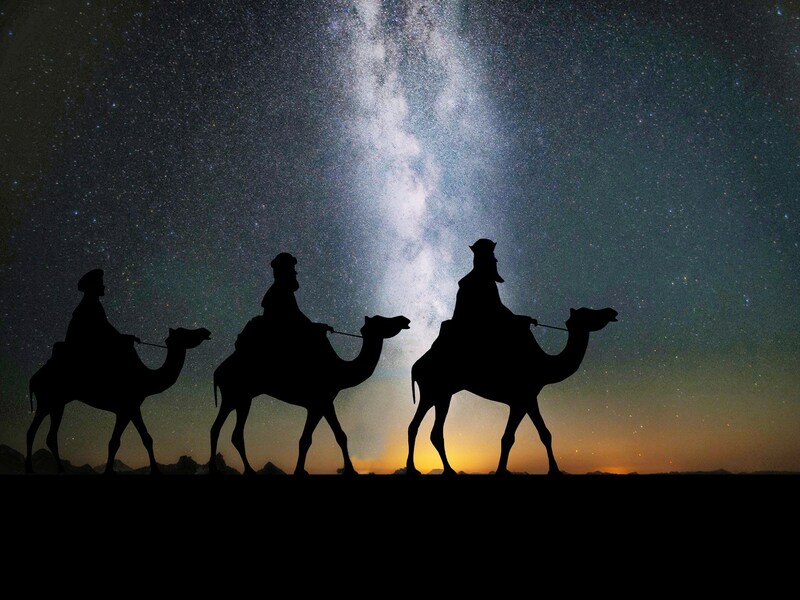 The three kings story remains though and at Christmas services around the world, we all sing “We three kings of orient are….” which leads us on to the second issue about the kings. As noted in the paragraph previously mention, the number of kings was crossed out, but also “in the manger in Bethlehem.” Again, a popular misconception, popularized in Nativity Scenes all around the world, is that the wise men visited Christ soon after His birth while He was still a babe in Bethlehem. But again this is not true and is not supported in scripture. When the wise men first arrived to find Jesus, they approached King Herod of Judea to find the location of the “new King”. Herod knew nothing of Jesus’ birth but was greatly troubled by this news (Matthew 2:3), and sent the wise men off on their quest to find Him, but requested that they return to him once they found Jesus and tell Herod of His location. The wise men after visiting Jesus were told in a dream by God to not return to Herod, but instead to go a different way back to their lands. At that point Herod ordered the slaying of all the male children under the age of two years. If Jesus was a new born babe at the time, then Herod’s slaughter would have only needed to include much younger male children. It is believed that Jesus was about two years old by the time the wise men visited Him. Of course, some people dispute the above and make references to scripture that support their side, but true interpretations of the accounts support both of the above discrepancies. We must be careful in how we read the Bible and how it is portrayed in popular culture. Without a true understanding of what we’re reading or hearing, it it very easy to be mislead. With that in mind, please do not take what I say as an absolute truth, without doing a full investigation yourself. Use the above as a guideline and starting point on your own Biblical journey.